Excess can be rubbed on dog's ears. Top of locket unscrews to open. Use split key ring to attach to collar or harness. 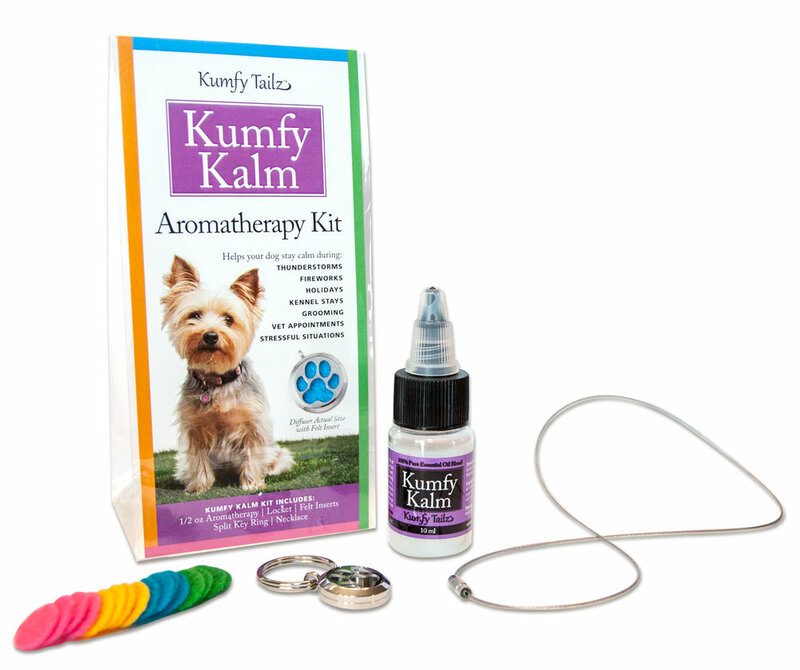 Use necklace for staff to wear in boarding kennels, vet clinics, or grooming salons. Ingredients: Water; polysorbate 20; essential oils of bergamot (Citrus aurantium bergamia) fruit, tangerine (Citrus reticulata) peel, lavender (Lavandula angustifolia) flowering tops, ginger (Zingiber officinale) root, rose geranium (Pelargonium graveolens) flower, sweet marjoram (Origanum majorana) leaf, and ylang ylang (Cananga odorata) flower; potassium sorbate.